General description : FULL RIDETECH AIR SUSPENSION, 5 SPEED, WILWOOD DISCS, R134 AC, PS, SHOW QUALITY! 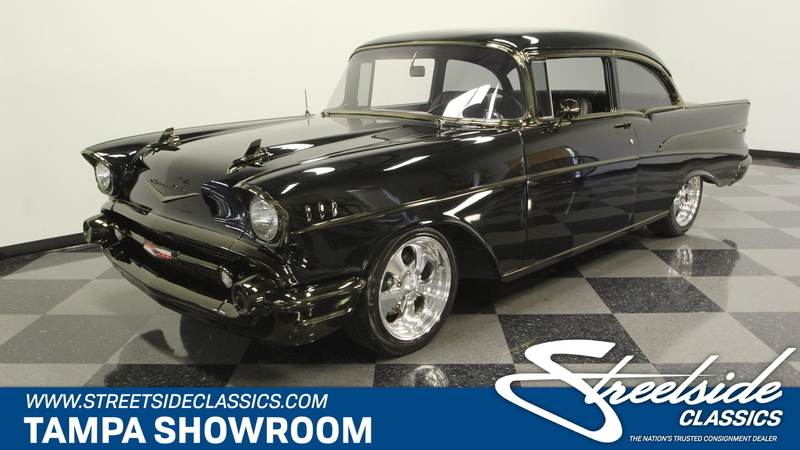 The 1957 Chevrolet Bel Air is already an icon, but this custom restomod is absolutely unforgettable. It's an amazing dark-as-midnight presentation that has been given the kind of details and textures to make people really say "Wow!" 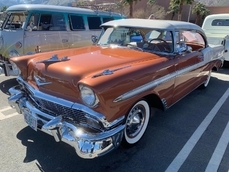 And even with all this showmanship, it's also a fantastic cruiser with features like an A/C interior, five-speed manual, and an adjustable ride. So yes, you're looking at a true one-of-a-kind build. 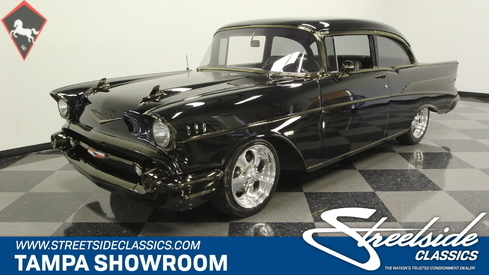 We doubt you've even known a '57 Chevy like this before. You still get all the iconic curves and trim that this classic is known for, but it has an irresistible darkness that's all its own. The Midnight Black paint has a great gloss and shine. That's needed, because all the brightwork we love on these Bel Airs has been turned to black chrome. 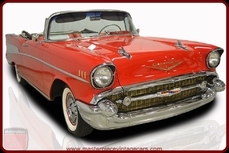 That means a dark attitude to match the paint while it still retains kind of luster you expect from a '57 Chevy's brightwork. They really took the time to make sure everything was converted to black chrome, including the artful bumper/grille combo, rocket-inspired hood ornaments, full-length trim, and tailfins. And with less than 60 miles on the whole build, this total package looks crisp and straight. Probably some of the best distinction comes when the sunlight hits this black chrome. There's a hint of golden-like undertone that creates a whole new dimension to this custom build. And as a final masterstroke, they allowed for one brightly polished component – the 17-inch Eagle Alloy wheels. They help signal all the upgrades underneath the skin. The full custom attitude continues inside, and it's just as dark and fresh as the exterior. The front bench seat has been replaced with buckets that have modern bolstering for all-day comfort. And the ostrich inserts in both rows of seats and the side panels add plenty of texture to this midnight interior. This is the kind of car you'll want to share with family and friends, and so it has plenty of comfort features. This includes a retro-style AM/FM digital tuner, cup holder center console, and ice-cold R134a air conditioning. The trim on the dash has been given the same black chrome treatment, which really makes items like the steering wheel and Hurst shifter stand out even more. You get an upgraded full gauge panel that fits into the classic housings, and it glows red to give this a great performance feeling. While this build has a ton of upgrades, you'll also love telling people this has a year-correct 283 cubic-inch motor that's believed to be original to the car. The V8 has received plenty of attention during the restoration. It includes getting a full blackout package like the rest of the car, as well as fresh components. 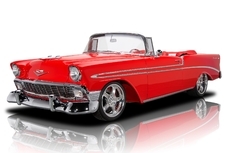 It inhales deeply from an Edelbrock four-barrel carburetor, and the dual exhaust allows this to have a sweet rumble. And as you look at the undercarriage photos, you can see what makes this a true restomod. You've got a ton spent on suspension components, including modern A-arms up front and a four-link rear w/diagonal link. And you can control the ride via the Ridetech air shock system with controller mounted in the center console. Plus, with upgrades like a five-speed manual transmission and Wilwood front disc brakes, you're looking at a custom that's also an outstanding driver. Complete with build receipts, this is a unique and award-worthy build that's ready to run right now. But the only way to enjoy it tomorrow is if you call today! 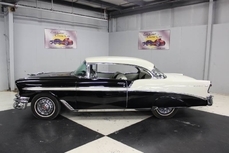 1957 Chevrolet Bel Air 283 V8 is listed for sale on ClassicDigest in Tampa, Florida by Streetside Classics - Tampa for $46995.